The shopping checkout process is arguably the most important part of an eCommerce website. Get the process wrong and you’ll potentially be left with frustrated users who may abandon your website and go elsewhere. Get the process right and the customer should have the confidence and reassurance about the purchase they have just made. It seems an obvious thing to state, but making sure you have a simple means in which customers can take what is in their basket and convert to a sale is obviously imperative to the success or otherwise of your eCommerce website. Make sure the checkout process is focused in terms of it’s layout. Consider removing any distracting site navigation that does not relate to the checkout process. Make sure each part of the process has clear Call to Actions that allows the customer to proceed easily. Single step and multiple staged checkouts both have their advantages and disadvantages. We tend to go with the staged process so that the customer can easily identify the step they are currently on and how many steps are remaining. If your checkout is to be a staged process then make sure each step is clearly identifiable and ensure the user is fully aware of how many steps there are in the checkout process. If visitors to your website abandon their visit to the website before completing their purchase, then consider sending an email that reaffirms what is in their basket and a link that will take them back to the basket stage of the process. A user abandoning the website may be a simple case of them losing internet connection, an error with the website or simply not having the time to complete the transaction, so sending an automated email with a reminder of what is in their basket and a link to continue their checkout process is a great way of potentially saving a conversion. Additional incentives such as prominent customer service contact details or a specific discount code that reduces the basket total will also help. There are a number of ‘off the shelf’ solutions to help integrate this functionality into your website such as ‘Abandoned Cart Pro’ for WooCommerce developments. A major factor in successful eCommerce checkout conversions is making sure that you are doing everything you can to ensure customers have complete confidence in paying for their order. Ensure that your website is fully https (read more on https in our recent blog post) so that data communicated between the website and the server is fully encrypted. Give your users as much information regarding the validity of the encryption used by implementing a Trust logo from the provider of the SSL certificate such as those provided by Comodo. A good way to maximise successful conversions is to allow a number of different ways that a customer can pay for their order. As well as the primary implementation of the payment solution you are using for the website, give customers a second or third choice. 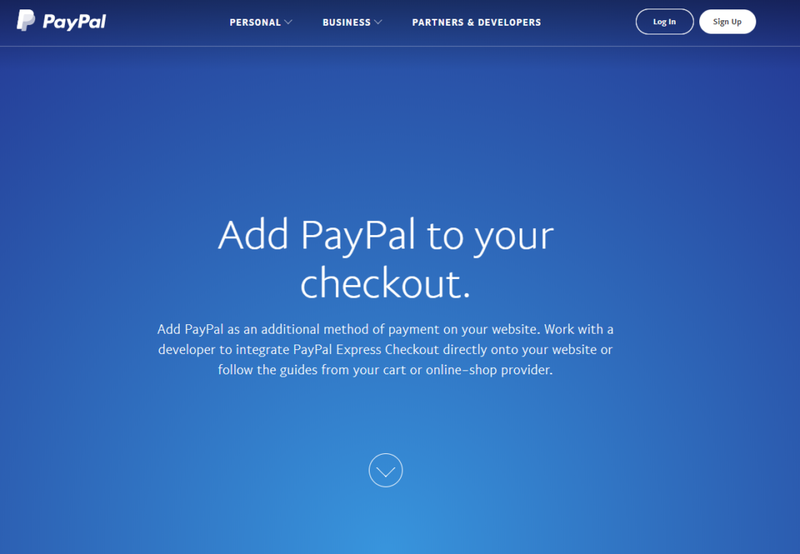 For example, offering customers the option to checkout with PayPal or Amazon may be more desirable for those first time visitors to the website who already have active accounts with these providers. Make sure your checkout is as inclusive as possible by allowing users to check out on your website without necessarily forcing them to sign up with an account. Once the order is complete, then offer the user the option of converting the details they have given during the process into a website user account. The more incentives a user is given to shop with your website the greater the chance of converting to a sale. Coupons, discount codes and sales are all good ways of attracting users and incentivising them to convert their basket. According to a study by kissmetrics, shipping and handling costs are the number 1 reason for users abandoning their shopping carts. Offering free shipping is a great incentive for users to complete the purchase, particularly if it is something that you can offer over your competitors. A big factor in a successful conversion is making sure customers are completely aware of all costs as soon as possible. It is difficult to make customers aware of shipping costs at the basket stage, but the introduction of a shipping calculator or at the very least a clear link to shipping costs will help the customer be aware of any costs as they progress through the checkout. Also, be prominent with regards to the website’s returns policy, giving clear information about where, how and within what time frame products can be returned. Ensuring customers can successfully checkout easily across all devices is paramount to a successful eCommerce business. With mobile device adoption long past the prediction that mobile devices will soon overtake desktop usage, then making sure your eCommerce website is mobile friendly is a necessity not an ideal. Some eCommerce websites introduce incentives to those users who are about to exit the website without converting. These usually come in the form of pop ups, an example being when a user moves the cursor to the address bar (with the intention of navigating to a new website) then a pop up will show offering the customer a discount code to continue checking out with them. There are various services offering this technology such as optinmonster. Make sure that customers can easily get in touch with you by giving prominent visibility to your customer service routes and any additional information that can be easily explained on the website, such as an FAQ page. If you are in a position to, consider a live chat option. This reassures a user that they are likely to get a direct response as soon as possible. Technologies such as LiveChat make integration straight forward. Ensuring that you have a streamlined, simple checkout process that gives users no nasty surprises, backed by abandonment incentives and other sweeteners, as well as a reassurance that the customer is only a click away from a prompt and reliable customer service should make sure that abandonment in the basket and checkout process is kept to a minimum. Need help designing or improving your eCommerce checkout process? Contact the Rapid Web team on our website or give us a call on 01785 250 222.